A husband-and-wife-owned calligraphy studio based in Dallas, Texas. 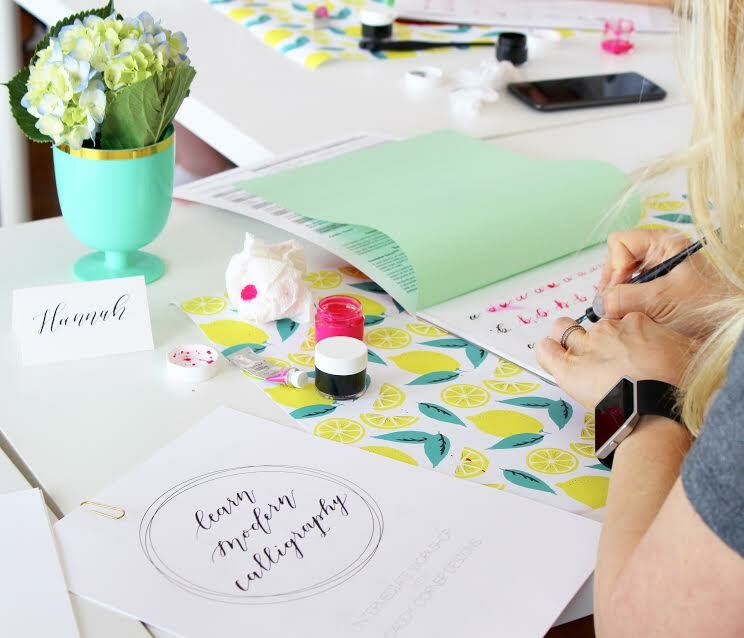 We are passionate about creating custom calligraphy artwork, teaching modern calligraphy through workshops, and giving back a portion of all profits to local Dallas charities. We both hold full-time jobs in addition to running CCD, and use it as an outlet to creatively engage with people we otherwise would have never met! When a customer comes to us with an idea for something they want created, whether it be their wedding vows, a prayer for a nursery, signage for an event, and anything in between, we are most energized by hearing the story behind the piece. We thrive working collaboratively to bring to life exactly what you envision. No two pieces are ever the same, and that's just how we like it. Our absolute favorite part about our business is bringing people together for Modern Calligraphy Workshops. Not only do we get to share our passion for the recently reinvigorated art of calligraphy, but we have the opportunity to create an environment for people to come take a break from their busy lives, relax, learn a new hands-on craft, and maybe even meet some friends along the way. We each chose a local Dallas charity we are passionate about and donate 10% of all profits on a quarterly basis. Our goal is to grow Caddy Corner Designs beyond just a calligraphy design studio, and into something that can really make a dent in the betterment of our city. Chris Guillebeau (Author, Blogger, Speaker) discusses the start and evolution of Caddy Corner Designs, providing tips for entrepreneurs looking to take on a side hustle project. Voyage Dallas is a media company focused on uncovering the most inspiring stories in the city of Dallas.